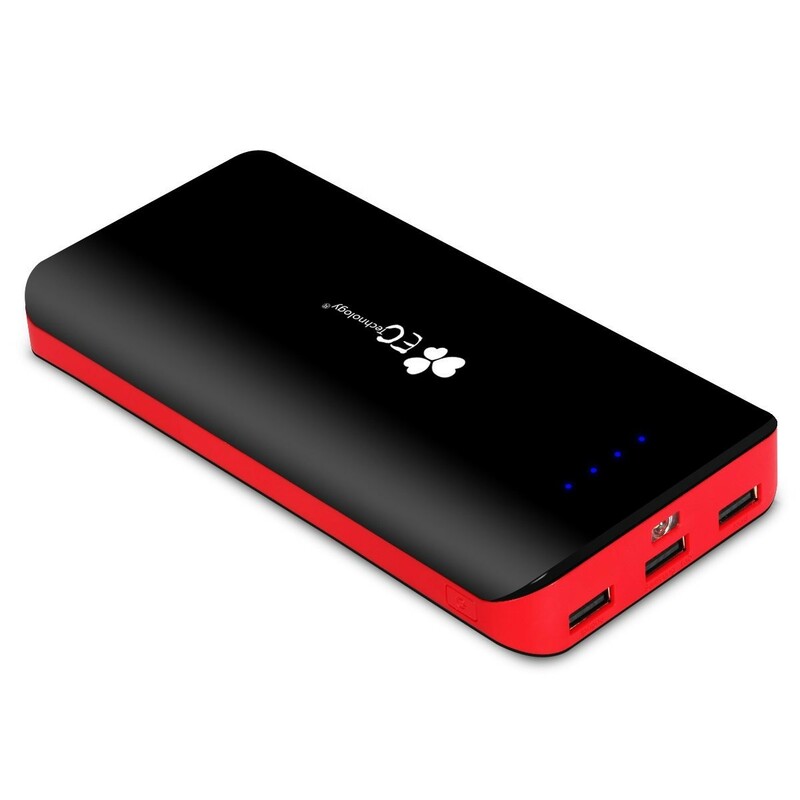 2nd Gen 22400mAh External Battery with higher efficiency rate enable to charge an iPhone 4S 13 times, or an iPad mini 4.5 times. Portable size at 6.2 x 3.1 x 0.8 inch, 0.99lb. Constructed with A+ lithium-ion battery cells and build-in microchips to ensure safety use and long lifespan. After 24 months, still over 80% of total capacity. Rapid input charging: DC 5V 2A input(2A charger not included), twice as fast as normal 5V 1A input power banks, saving 50% of your time. 3 USB charging Port (2.4A for ipad, 2A for Samsung Tab, 1A for iPhone) for 3 devices simultaneously at top speed. 3 UBS port also compatible with almost any smart device with an input of DC 5V. 4 Integrated LED indicator show Power status. Built-in 3-mades LED flashlight that makes it easier in the dar: SOS/bright/average modes. 2nd Gen Deluxe 22400mAh External Battery The upgrade enhanced version External Battery, more powerful but more compact form factor. Especially using the most advanced chip with perfect PCB circuit board, ensure a powerfully and effective upgrade, to bring you a new experience. More Effective A+ Lithium-ion battery: After 24 months, still over 80% of total capacity. Upgrade to 3 USB ports (2.4A for ipad, 2A for Samsung Tab, 1A for iPhone) to allow for top-speed multiple device charges. 3 USB also compatible with almost any smart device with an input of DC 5V. Intelligent LED Light Blue LED indicator changes to on-the-front design. Helps you easily know the charging status and battery level. Upgrade the led flashlight to 3 modes, SOS mode, highlight mode, average light mode. Especially design for outdoor activities like camping, mountain climbing, and picnics. 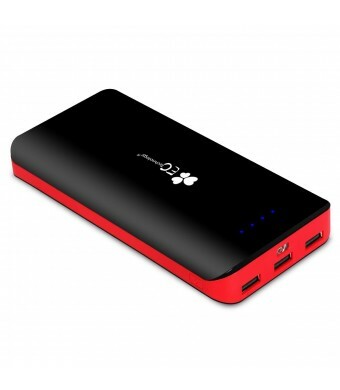 Perfect for Safe The textured high-grade flame-retardant plastic shell protects the power bank from damage. Supports over-charged, over-discharged, over-voltage, over-current and short-circuit protection to protect your devices. Smart Chip Automatically charging your devices when it is incorrectly inserted, auto-detect technology bringing you convenient experience. For optimal use -For simultaneous, max-speed charging of your 2A Input 22400mAh power bank and other devices, check out EC Technology's new 35W 6-port usb charger or 36W 5-port smart car charger. -To ensure complete safety and best performance, we strongly recommend using your device's original cable, a third-party certified cable (such as MFI) or our included cable.